What will a new stadium mean for parking, traffic in the West End? 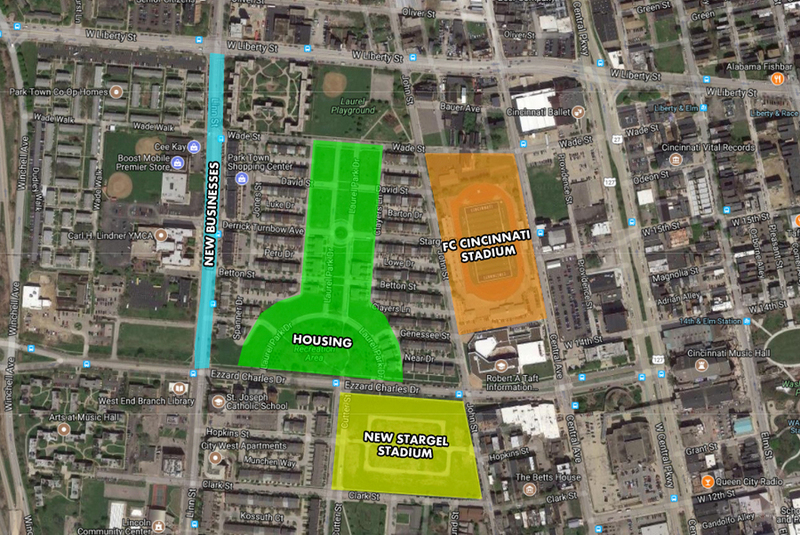 CINCINNATI -- Now that agreements are inked and Major League Soccer is a go, many are still wondering what exactly is in store for the West End -- especially when it comes to how the landscape and streetscape could change with the arrival of a new top-tier league stadium. "Housing was the number one issue" while negotiating FC Cincinnati's Community Benefits Agreement with the city and neighborhood of the West End, said Anne Sesler, spokesperson for the soccer club. "But for residents, particularly to the west of Taft High School, (parking) was a concern." But as for specifics, nearly everyone agrees it's too soon to tell. "We're not at the place to deal with plans that detailed," said FC Cincinnati spokesperson Anne Sesler. She told WCPO the club is still in the process of acquiring all the properties for the site, slated at what is now Taft High School's Stargel Stadium. The plan calls for demolition of the existing Stargel Stadium and the construction of two new stadiums, one for FC Cincinnati and a second to replace Stargel across Ezzard Charles Drive. After residents expressed worries over affordable housing and residents being displaced once a new stadium is built, Sesler said the club heard most concern raised over what would happen to parking in the neighborhood. The Community Benefits Agreement allows for the West End Community Council -- if it chooses -- to request that the city establish a residential parking program for the neighborhood. That could consist of permit-only parking zones or times in the neighborhood. Whether a new parking garage will accompany the new stadium remains to be seen, but the Hamilton County Board of Commissioners, on multiple occasions, has promised to fund a 1,000-space parking garage in the vicinity of the stadium . Where it would go is still in question, but it's something Sesler said "FC Cincinnati, the City of Cincinnati and stakeholders in the West End are all relying on." Some are worried that a new parking garage would lead to homes being demolished. That's a concern developer Mark McCullers told WCPO earlier this year shouldn't weigh too heavily on neighbors' minds. McCullers worked with the club to develop its stadium plan. When asked if a new parking garage or lot would displace residents, he said, "I don't expect that to be the case at all." McCullers pointed to the two other nearby garages -- the Town Center Garage on Central Parkway and the Washington Park garage between Race and Elm streets just a block away -- as well as the stadium's proximity to the streetcar line, which also drops off riders on Elm Street. Sesler reinforced McCuller's point about public transit: "One of the hopes is to have folks park at The Banks and take the streetcar up," she told WCPO. "A lot of fans take Uber, so there may also be an Uber drop zone, but that's not yet set. "It was definitely envisioned that people would use all different modes." Sesler said that before developing specifics around infrastructure upgrades for the neighborhood, engineers will have to conduct a traffic study in the vicinity to examine potential car volume and street capacity. According to the Community Benefits Agreement, FC Cincinnati and the city will coordinate to fund the traffic study, which will examine usage of the streets and intersections surrounding the new stadium. Those include Central Parkway, Liberty Street, Ezzard Charles Drive and Linn Street, as well as the nearby Interstates 71 and 75 interchanges. The club and city launched a similar traffic study when they were eyeing Oakley as a possible site for a new stadium. In a Q&A with FC Cincinnati President Jeff Berding last November, the Oakley Community Council described the traffic situation around Crossroads Church -- which sits near the then-proposed Oakley site -- as a "disaster" around church service times. Sesler said she heard different concerns from the West End community. 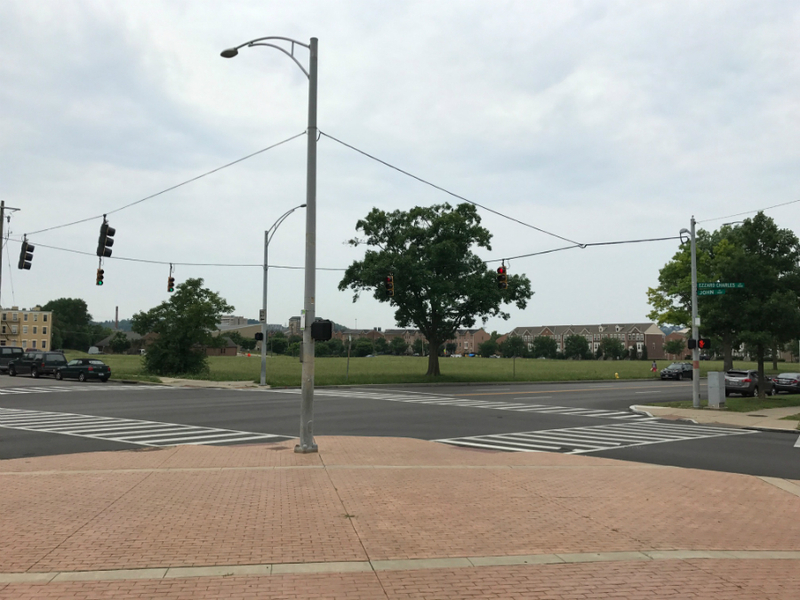 "Because of the location of the site -- it's abutting Central near Liberty near Ezzard Charles -- it's near all those larger thoroughfares, so it wasn't as much of a talking-point as it was in Oakley," Sesler said. Another consideration that will come into play stems from the re-location of Stargel Stadium across Ezzard Charles Drive from Taft High School. 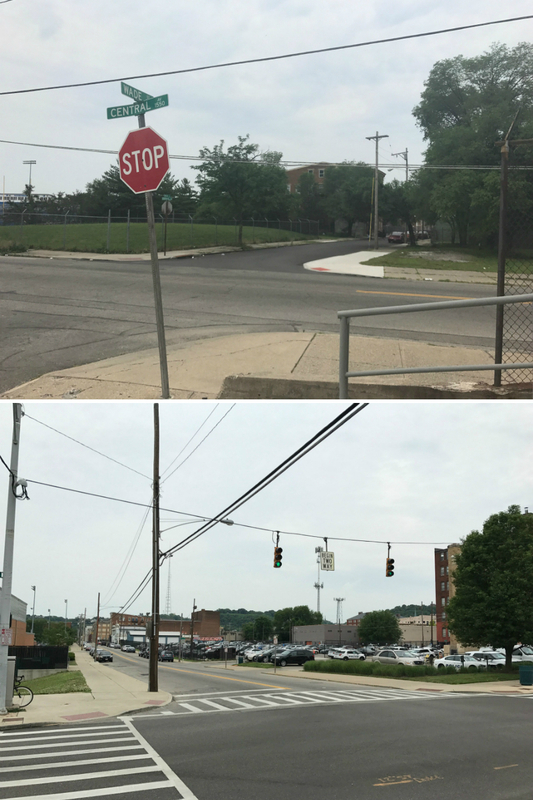 This could create need for new crossing safety features between the school building and the new football stadium, which won't just serve Taft High School but a number of other nearby schools and teams, said Lauren Worley with Cincinnati Public Schools. But, like everyone else involved in this process, CPS is still in the planning phase, Worley said. "We will be engaging our CPS school community, including the Cincinnati Police Department and other safety officials, to ensure the safety and security of our students and staff during and after construction," she told WCPO in a statement. More West Enders walking to work? Another big hope from West Enders is that the stadium will mean new businesses in the neighborhood, which could mean new jobs. West End Community Council President Keith Blake said that could mean more residents could possibly find work in the neighborhood, instead of having to commute out. "The biggest potential for the stadium and businesses to come to life is the opportunity to have jobs within reach for residents," he told WCPO earlier this year. What kind of jobs might the West End expect? While nothing is set in stone, Multiple leaders who negotiated this plan and others like it have pointed to the importance of wooing retailers to the vicinity around a stadium. "You want to make sure you're putting together the sort of retail that the neighborhood thinks is really valuable, but also the sort of retail that produces return for the owners," said Mark Rosentraub, a University of Michigan professor who has helped design dozens of stadium projects nationwide. "What you don't want to do is get a facility that is a flying saucer in an ocean." Whether it's walking to work or walking through the neighborhood, there is a precedent for stadiums producing foot traffic in the surrounding neighborhood -- even if that didn't prove true here with Paul Brown Stadium. "The foot traffic is amazing," said Eddie James, who owns a restaurant near the newly built soccer stadium in Orlando, Florida. He told WCPO he was afraid food trucks parked outside the stadium would hurt his business, or -- inversely -- crowds would be too big and his regular customers might lose their loyalty. That hasn't been his experience, though: "It's been very positive for the neighborhood." Sesler made this point as well, saying that for soccer fans the match itself is only part of the day or evening out. "It's not like a football or baseball game," she said. "With soccer, it's different. Because the matches are two hours, most people will do something else while they're down near the stadium." As for a new stadium's impact on the West End, time will tell, and any devils hiding in the details remain to be found. Previous reporting by Amanda Seitz contributed to this story.